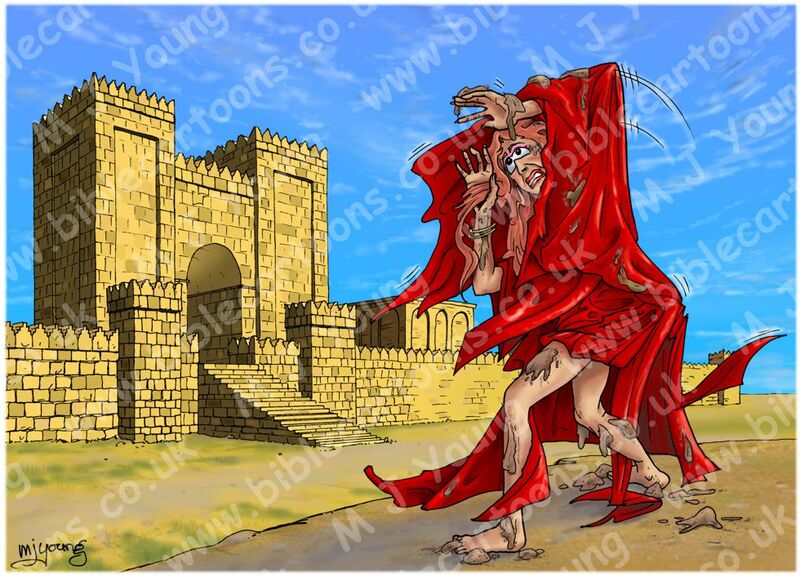 Bible Cartoons: First Bible Cartoon for Nahum! 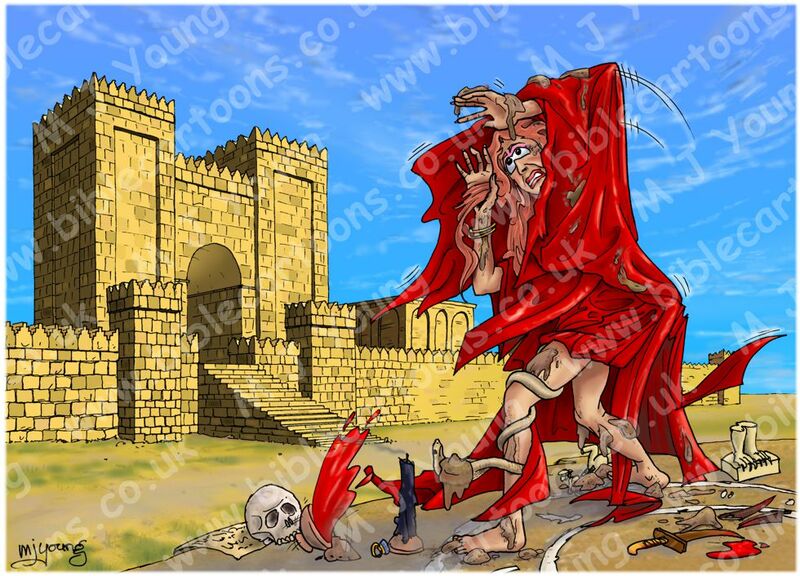 I have just finished two versions of a Bible Cartoon for the Old Testament book of Nahum, a so-called minor prophet. 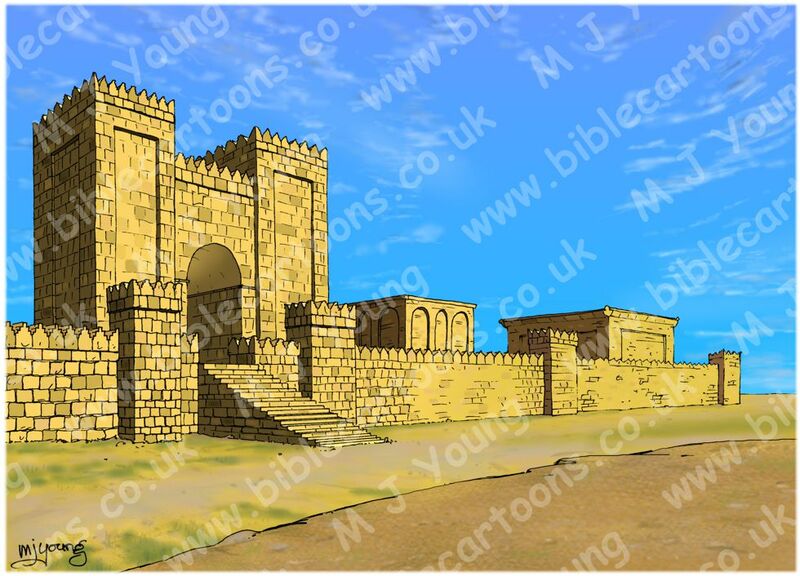 Nahum was given a message from God regarding the Assyrian city of Nineveh. In the 3rd chapter of Nahum, God refers to Nineveh as an idolatrous prostitute. 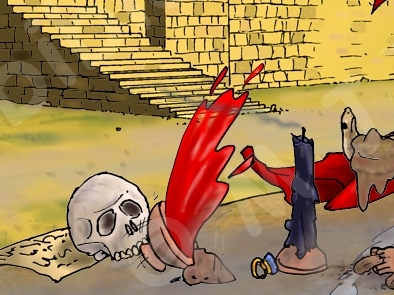 In my scene I have drawn a woman in a red gown, standing in front of the city of Nineveh. She is the personification of the Assyrian city. Version 01) (above) Nineveh witch harlot with all the objects on the ground & snake rapped around leg. 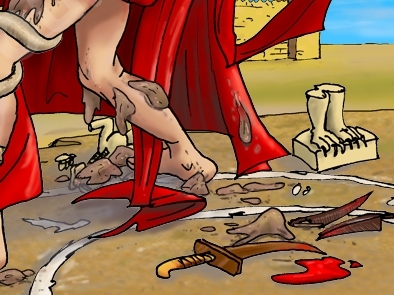 Version 02) (see below) Nineveh witch harlot WITHOUT all the objects on the ground & snake rapped around leg. In case you’d like to see the city without the woman in front of it, here it is!